For the better part of a decade, I've had a pair of earbuds within arms reach. I'd pop those puppies in to keep out extraneous noise during a public expedition, for a personal gaming session, or for Skyping with friends. There were a myriad of reasons why I preferred buds to legitimate headphones, not the least of which was the discomfort at having two large, unwieldy weights strapped to the sides of my head. Of course, that was before life with HyperX Cloud II. I absolutely love these headphones. 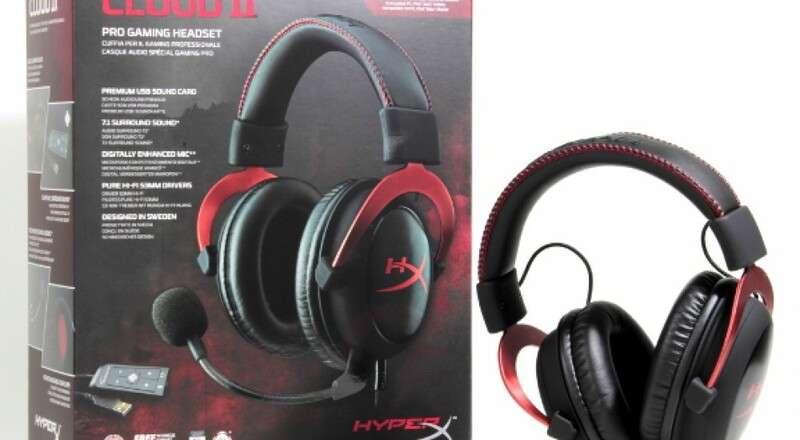 The HyperX Cloud II headset has reverted me back before the Earbud Revolution began. They were vast improvements over the previous "earbud and stand-alone microphone" getup I'd been using to communicate online previously. As someone who might feel every additional ounce in a pair of headphones after 20 or so minutes, gaming for four straight hours without once noticing any discomfort was a welcome reprieve. For someone who didn't want to mess around with installing various drivers just to get their headphones to work, I had no trouble hooking the Cloud II up to my system. The entire system is hardware driven, requiring a single USB Port to play sounds from my PC or my PS4. The Xbox One requires an adapter, though not having a One means I was unable to test out just how well it ran on that particular system. The HyperX Cloud II comes in two standard colors: "gunmetal" and "red," with a limited edition pink and white version as well. The color only affects the metal frame holding the ear pieces together, as well as the cross stitching. My pair is "gunmetal," which looks great. The design and appearance is concise and not the least bit ostentatious. While some might consider headphones littered with LEDs on each can a sign of quality, I don't need color-evolving lights decorating head gear that I'll never see because I'm physically wearing them. The Cloud II's look is simple, effective, and probably something you might not get embarrassed wearing. Of course, who really cares what headphones look like so long as they work as intended? Touting a "7.1 Virtual Surround Sound" system built into the hardware, the Cloud II sounds great. I've got a fairly nice set of speakers with a dedicated subwoofer, and the Cloud II's warmth and clarity rivaled those for both music, game audio, and speech. The effects of the "7.1 virtual Surround Sound" feature are slightly difficult to explain. With it off, the sound was perfectly adequate for music and game audio, but switching it on added a certain richness (to the music, especially) that enhanced the experience. I don't know if I'd be able to identify it as surround sound, but it did not disappoint. 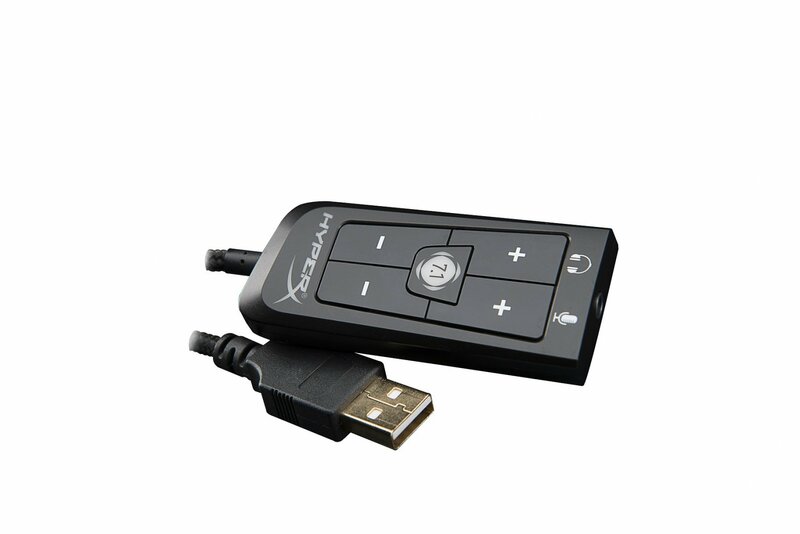 An audio control box is attached to the USB cord, allowing you to quickly change the audio and microphone levels without having to minimize a game and manually reduce/increase volume. It also activates the 71. Virtual Surround Sound, and has a microphone mute switch as well. The microphone is completely detachable in case you wish to avoid it all together, but as a social gamer, I utilized it quite frequently. I tested the microphone's quality by putting it against my previous one, first by recording myself with each. 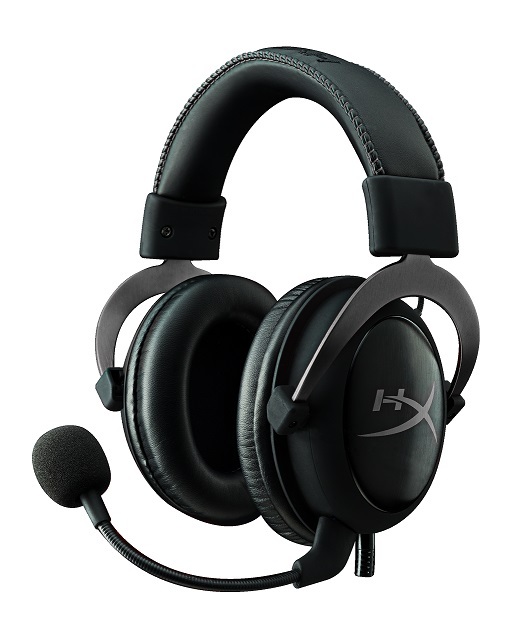 The HyperX Cloud II's sounded much clearer. While it wasn't quite like listening to a version of myself speaking to me in real life, it was alarmingly close. I did not alert any of my friends that I had gotten a new headset (and more importantly, a new mic) before chatting on Skype with them. The three individual test subjects all commented that I sounded much clearer than usual, with all three asking if I'd gotten a new mic. The noise cancelling feature in the microphone helps dull the otherwise slightly annoying hum of my PC, much to the relief of those who I normally game with. As I said before, the headphones are comfortable. They have a good enough weight to not feel cheap in your hands, but not enough to notice after consecutive hours of gaming. I did not feel any pressure or discomfort my entire time with them; a feature probably related to the "memory foam" lining the inside of the cups. For someone who hasn't worn a headset in years, these were shockingly comfortable. My only complaint about the HyperX Cloud II set is the unreplaceable cord. Built into the headset itself, an accident capable of shearing the cord could net you with a very expensive paperweight. To compensate, the chord is quite long to give it plenty of slack, and it's also wrapped entirely in a durable, woven material. It'd be hard to cut or rip the cord, but if you managed to do so, it'd be curtains for your otherwise wonderful headphones. At $99, this headset is a modest price for the quality you're receiving. 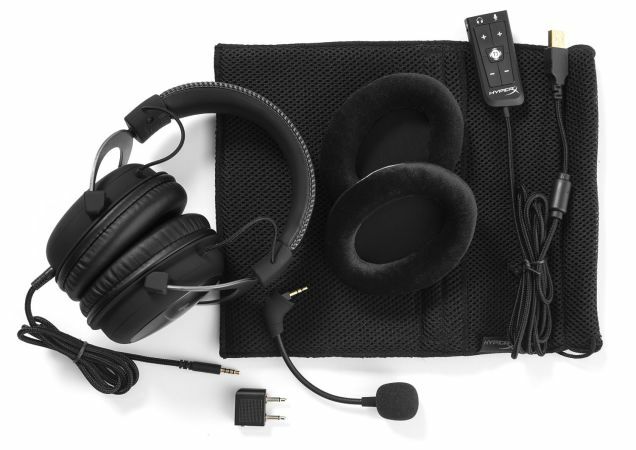 I have had nothing but positive experiences with the HyperX Cloud II, and I plan on using this set for years to come. It works well for both audio and communication, and has yet to grow irritating. I'm not quite ready to cast my earbuds into the garbage just yet, but I'll be using these cans on my PC from now on.